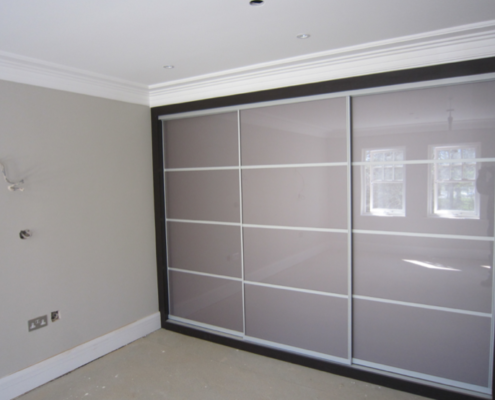 Sliding wardrobe doors allow you to gain the maximum amount of storage potential from your available space. It is very popular, practical and economical now to install a front frame sliding door system, this means you do not need a base, top or back to your wardrobe; saving space and money. We make all our doors especially for your exact requirements. A basic framework is provided with all Wizard Wardrobe sliding doors. This kit includes 2 wall strike plates, floor and ceiling plinth’s, all in 18mm PVC edged wood effect melamine. This kit allows you to make all edges of your space perfectly level and plumb for your sliding wardrobe doors to run effortlessly. This can be a really easy process. 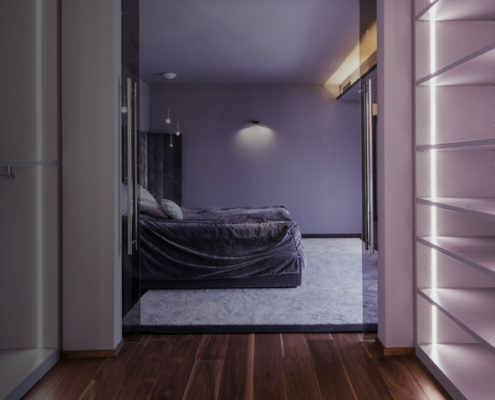 All we need is your floor to ceiling and wall to wall measurements, we do all the rest, creating perfectly sized wardrobe sliding doors to suit your individual space. Our wardrobe doors are made from high quality aluminium extrusions; feature large diameter sprung bottom wheels and are inserted into extremely smooth running aluminium top & bottom tracks. We believe our doors are easily the best on the market for quality and value. 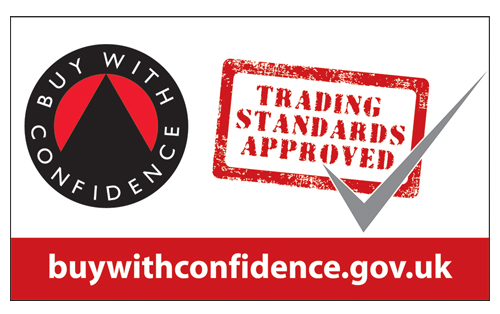 Compare our prices against our competitors aluminium systems and you’ll see what we mean, or even their cheap budget steel frame doors!!! Sleek and sophisticated, our dove finish is a welcome addition to our 2019 range. A cool, understated shade that adapts effortlessly into any style and colour palette, brining a clean, fresh feel to any bedroom. 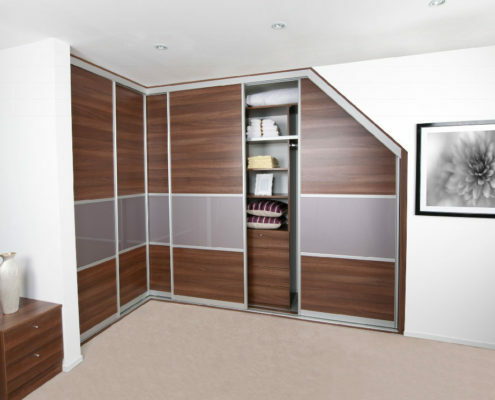 Wizard Wardrobes can help you make the most of every space and maximise storage. Awkward spaces are beautiful... awkward shaped rooms of all sizes, with slopes, angles and alcoves are not a problem for us. Our bespoke designs maximise every inch of space. Our stunning walk in wardrobes are designed to maximise all your available space and can include a wide range of clever storage accessories. This customer came to Wizard Wardrobes to help transform a spare bedroom into the walk-in-wardrobe she had always dreamed of.